As a transplanted American living in the Maritimes, I’ve had the opportunity to experience life on both sides of the border, although I never would’ve come up with that “warm-filtered through a kidney” line. And one of the co-creators of Superman was Canadian. Love the toilet, but I wouldn’t have given anyone a record unless they proved, um, elimination, while breaking previous land-speed records for commodes. Amazing. Well, if I was perched on a toilet going 75 km/hr, I guarantee there’d be a fine brown mist behind me. I’d definitely be a Wailing Wench. And I’d need a few afterward, too. U.S. beer is just Canadian beer that’s been warm-filtered through a kidney? You horrid woman, not my Budweiser! But I also like my Molson Canadian too, especially on draft. But being a Detroiter with Windsor right across the river we here feel that there’s a blood connection through the theme song of Hockey Night In Canada. And the original was “Saturday’s Game”, in 1968 it changed. We only had 4 channels when I was growing up with channel 9 being CKLW-TV/CBET-DT. I’ve loved hockey and been watching it since I was 4 and Saturday night was HOCKEY!!! I can still hear the announcer always ranting the name of Davey Keon! I can even remember the Esso commercials. Oh Soooo Old….. But Number 9 of our Red Wings ruled and guided us for what would become down the road HOCKEYTOWN! Ahhhh Bill Kennedy’s Showtime, Romper Room, Swingin’ Time, Coronation Street. Yep there is a lot of Canadian in Detroits Blood and vise-verse. But no more remarks about our beer! Not Bud anyway, I actually agree with that warm-filtered through a kidney remark about Miller. That is one nasty tasting beer. I raise my Slurpee to you Diane ( we always had them here too)! Yeah, whenever I encounter a toilet with a seat belt attached, I get worried. Though some of those auto-flushers could use one. When one of those goes off underneath me, I’m always afraid I’m going to be launched into orbit. We don’t play much hockey where I’m from and the concept of a frozen body of water would confuse us. We do have a local minor league hockey team. . .and even have beavers here but to my knowledge no beavers in these parts have been spotted wearing parkas or sipping slurpees! ‘Flushed with pride’ made me green with envy. Only you could make a motorized toilet sound so awesome! You better patent that phrase while you still can. And the beer comment about being warm-filtered through a kidney is too funny. I suppose I can’t be granted an exemption to visit Canada since I don’t drink beer but I will take a slurpee anyday. Sadly, I can’t claim the patent to “flushed with pride”. “Warm-filtered through a kidney” is mine, though. Potty mouths and now fastest potty riders. Way to go! I agree with chris9911– GSP is one of Canada finest assets. And Rush! Can’t forget Rush. Yes, it was clearly a gross oversight on my part. Here’s an eye-candy link to make amends. And a link to the wiki, just in case it was his qualifications you were admiring. And Rush is one of Canada’s other best exports even after all these years. Oh yeahhhh, a classic song. Thanks for the link to that! Totally agree. A good guy, a great sportsman, and a tremendously gifted athlete. I went to Vegas to see him fight BJ Penn in UFC 94 and he really is outstanding. Our section of the MGM Arena was mostly Canadian GSP supporters and it made us wish we were Canadian too. Diane, I am so shocked in disbelief!! 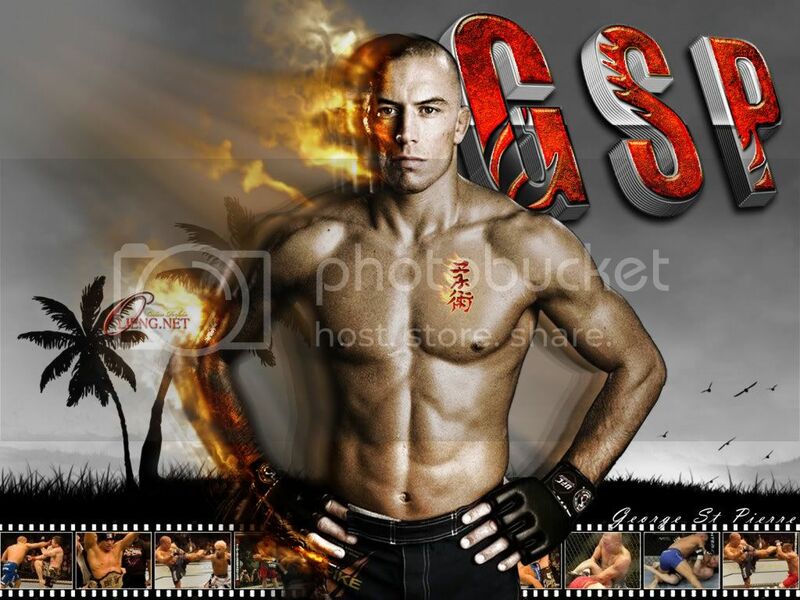 How can you forget about Georges “rush” St.Pierre? Damn, you’re right! What was I thinking?!? LOL! It does have a certain urgency about it, doesn’t it? OMG Dianne I totally love this post,,you explained us to the T. As for the motorized toiled, my bet is College kiddo’s. Hope it’s ok if I re-post this over at my little blog? “the world’s fastest motorized toilet”–who thinks of these things?! I have no idea who thinks of these things. I can’t fathom what drives a person to wake up in the morning and think, “Maybe I’ll strap my toilet to a Briggs & Stratton this morning and see how fast I can make it go.” But hey, we hold the record!